The Ani Chapter was founded in Montebello, California in 1960. 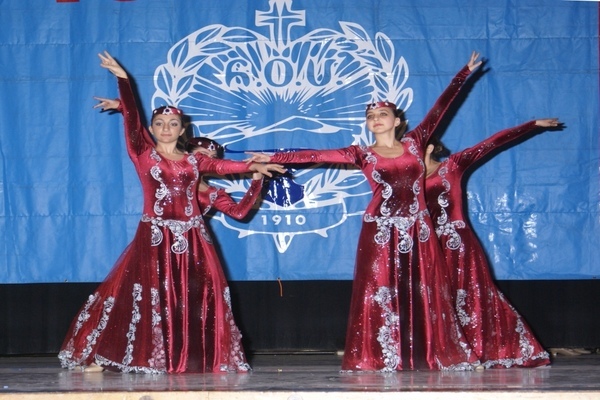 Since the end of World War I and the establishment of the displaced persons (DPs) from Germany in the Montebello, Armenian community life was vibrant and active, and it was in due time that the ARS Ani chapter was established. Ungerouhi Ovsanna Hagopian and Isgouhi Apelian had instrumental roles in establishment of the new chapter, and utilized their experience to organize the new members. Gayane Ganayan was the godmother to the new chapter. The chapter members gained the love and respect of the community and with the ever presence of the following members: Aghavni Plaq, Berjouhi Arazian, Armenoui Avedisian, Sophie Froyan, Isgouhi Foundoukian, Sona Kechejian, Margrit Tatre, Lucy Der Minasian, and Aghavni Krikorian. In 1965, the Ani Chapter provided financial assistance to the establishment of Mesrobian Armenian School in Montebello, in addition to sponsoring needy students and projects. The chapter has a tradition of honoring father from the community for Father’s Day. Another tradition is to cook “madagh” a special soup to be distributed to the people on Palm Sundays. The chapter continues to support community projects and community members, as well as provide assistance to victims of natural disasters, as well as projects in Armenia, Artsakh and Javakhk. In February 2010, the chapter celebrated its 50th anniversary of continuous service.